Combining her business acumen with her passion for everything fashionable, Resident Magazine speaks with Silver Tower’s Resident Lou Larochelle on what she loves about her neighborhood and her burgeoning women’s contemporary fashion line. Q. What do you like about living in Hell’s kitchen? A. I’m a foodie, and there are so many great local restaurants in Hell’s Kitchen just in the immediate vicinity of Silver Towers. I love this neighborhood because there are so many great places to discover within walking distance. Although this location is very quiet at night, you can find the life of the city within a few blocks. Q. How does Hell’s Kitchen inspire you with your collection? 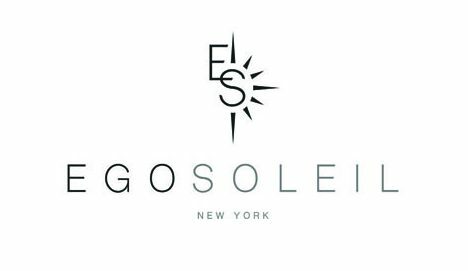 A. I’m a partner at Ego Soleil which is a high end contemporary women’s fashion line and our showroom is based in Chelsea. Q. 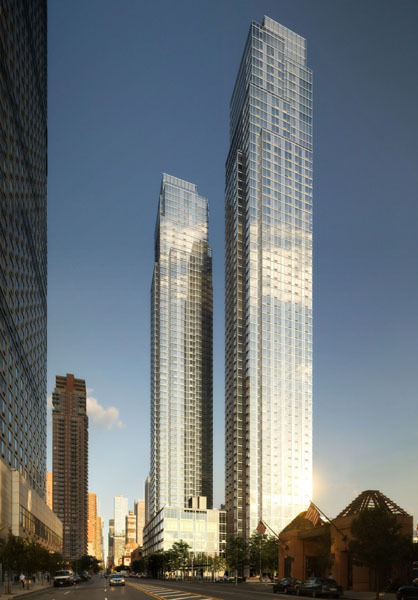 Why do you love living in Silver Towers? I love its location. Silver Towers is by the river so it’s quiet at night. The breeze is fresh, and it is convenient for a walk by the river after dinner or even take a casual cruise. The serenity at night gives me an escape from the urban jungle, yet it is located in the heart of Manhattan and everything is accessible. Great restaurants, Broadway shows, shopping at Fifth Avenue, night clubs, Central Park, Times Square and more are within reach. I also love the Silver Towers rooftop as well as their amenities, especially the pool and sauna, that I use on a daily basis. Q. Tell us about your background- were you always in fashion? A. I have a bachelor’s degree in Finance and I have graduate degree in Management and Finance, so I have a strong business and finance background. As a partner, I help with the business and strategy side of the brand from managing our budget to business development and sales. I started in the company after I graduated, because I always wanted to be an entrepreneur and this terrific opportunity came up. Q. How did you get into fashion? A. Since I was little I have always been passionate about fashion. I have always loved it. When I had the opportunity to actually combine the business side with the fashion side, I just thought it was a good opportunity to do something I love with my educational background. Q. 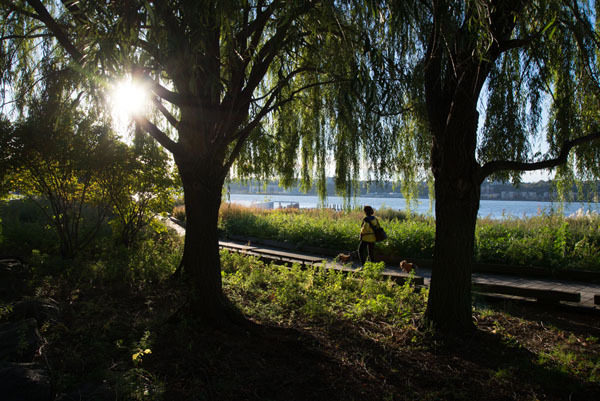 Why did you choose New York City? A. New York City is definitely one of the city’s I always dreamt of living in when I was young. I’m originally from Quebec and New York was just somewhere I wanted to go. When I had the opportunity to move to New York, of course I did not say no. I had this opportunity to combine fashion with business in a city that excels in both areas and the timing was perfect. Q. How do you connect with your designers? You have two designers, one from New York and one from London. A. The reason behind having one designer in Europe and one in New York is really because when we try to be trendy in America, we know what is popular and when in Europe we know what is trendy over there. It makes our brand very different and our style combines what is fashionable in Europe and New York. It is mainly to keep updated with the fashion culture. Q. Where are you sold? A. Right now we have different sales channels, for instance we are in a few physical stores, so we are doing retail, but we try to wholesale to department stores and boutique stores. Our main geographical target is obviously the United States, and also Canada, Mexico and Asia. We collaborate with a company in Asia who represents us in that market. We are also selling on our website as well. Q. Where are your clothes made? A. As of now they are made in New York City and we might shift our production overseas, but as of now everything is done in New York. Q. What is meaning behind the name of your brand? A. Ego Soleil is two French words. Ego meaning myself, I, and everything about me. Soleil is the sun in French. I think it represents every New Yorker in this name and we’re based in New York and it’s one of the reasons for our name. Soleil in New York represents looking on the bright side, life is beautiful, and the positive side of the city. While ego would represent the other side, where everybody is busy, everybody is a little selfish, so as a fashion name, it works. Fashion is two parts, it’s trendy but also it is about expressing yourself, and you can really express who you are with what you’re wearing. Q. How do you get inspired to create each piece? A. That’s a question for a designer. I do not design the collection. I think what I know about my designer is she is from New York City and she has her own personal inspiration, as do the other designers. She works with our designer in Europe to integrate some of the trend and culture in Europe. So, I think that’s how she creates each piece. Each designer has a very different inspiration and each designer is different.